Sunday, April 21, 1912: Went to Sunday School this afternoon. Wish I had my new hat. I’d wear it if I had. 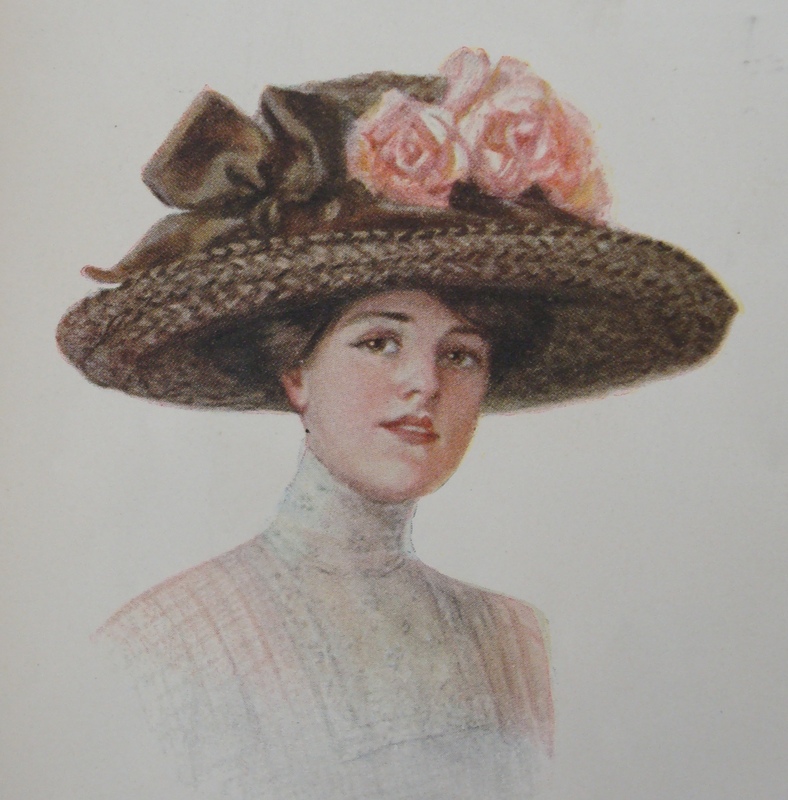 Did Grandma want a hat like one of these hats that were featured in a hundred-year-old issue of Ladies Home Journal? With the coming of summer one turns instinctively to the flowers, and there is an overwhelming desire to have them around us, in our gardens, and even on our persons. The desire to be personally adorned with them can find best expression in the use of the artificial. 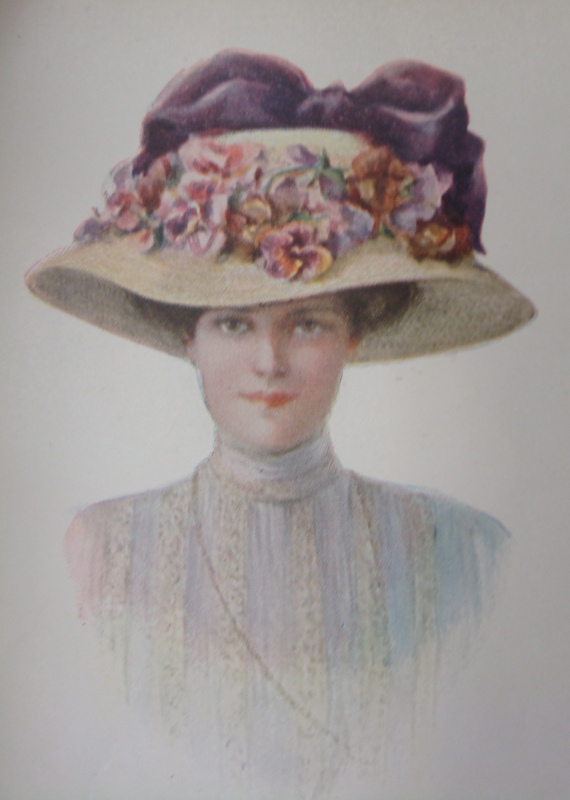 In these hats are shown what lovely artificial flowers can be had and at small cost. Posted on April 21, 2012 July 11, 2012 by SherylPosted in FashionTagged 100 years ago, family history, genealogy. Now I’m wondering why she didn’t have her new hat? Was she waiting for it to be delivered from Montgomery Ward? Did it blow away in the wind? Did she lend it to someone? The kinds of questions you’re asking, are the types of things that make me absolutely love working on this diary. I never thought about a package not arriving from a catalog company. Hmm–maybe someday I should do a post on Sears and Montgomery Ward–and the important role they played in the early 1900s. A perfect Kentucky Derby hat! 🙂 I love all of the thought and research you put into your Grandmother’s comments. When you finish the diary…you could go into detective work! 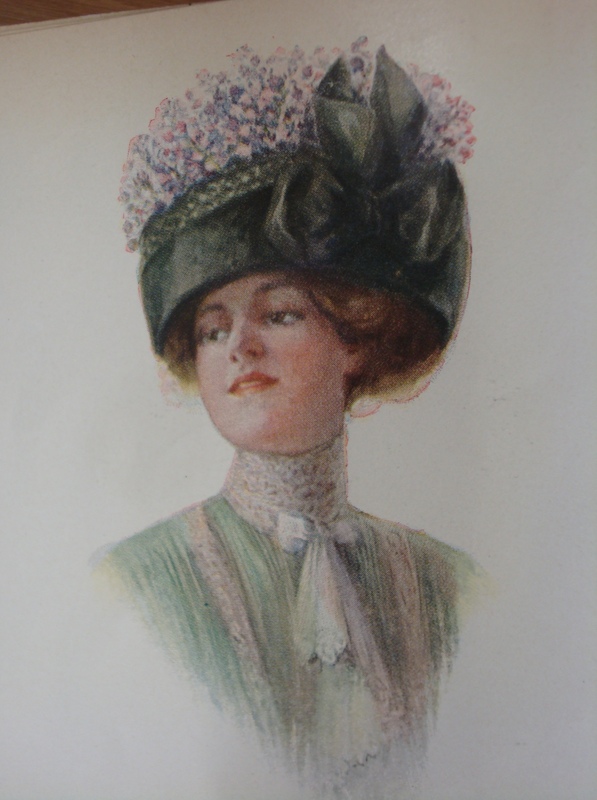 I wonder what the artificial flowers on the hats were made out of? for some reason, I just can’t imagine your grandma, at 17, wearing one of those hats. I see her running with the wind blowing through her hair — but who knows, maybe she had that demur hat-lady side of her too. Milliner sounds like a really fun job for a young woman. There were so few job opportunities back then. 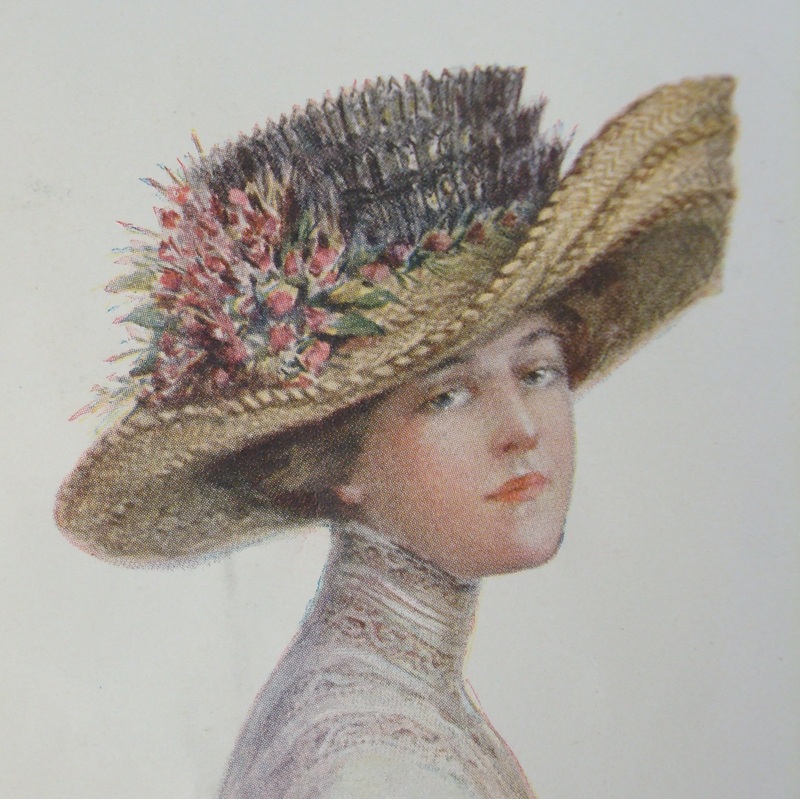 I’d never thought of milliners as a possibility–but it makes a lot of sense.